This entry was posted in and tagged gong bath, gong bath Camden, Gong Bath in Angel, Gong Bath in Camden, Gong Bath in Camden Town, gong bath london, Gong Bath Meditation, Gong Bath with Odette, Gong Baths in London, Gong Baths in North London, Gong Healing, Gong Healing London, Gong Meditation, Gong Meditation Islington, gong spa london, Laughter Gong, Saturday Gong Baths in London, Saturday Sound Baths, Sound Bath, sound bath Camden, sound bath Cameden, sound healing, sound healing london, Sound Journey, Sound Meditation Camden, Sound Meditation gong bath, Sound Meditation in London, Sound Meditation London, Sound Spa London, Weekend Gong Baths in London on 18th May 2019 by Odette. 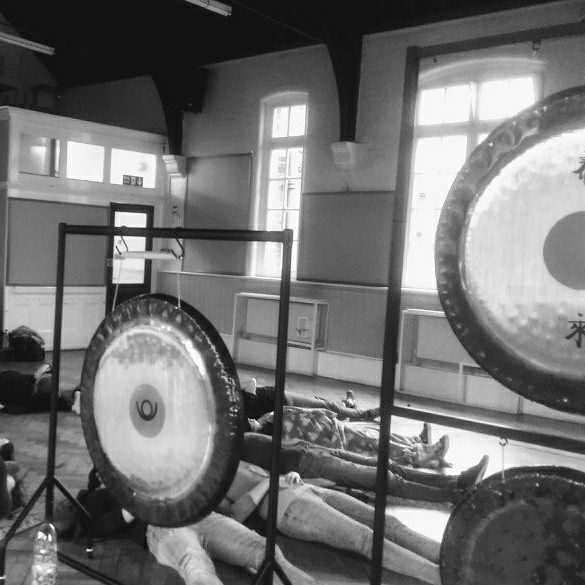 Ideally please arrive for 6.20pm which will give you ample time to register, settle in, take a few deep breaths allowing for a gentle transition from your journey to the gong space. We will observe a silence before the start. Facilitator: Odette Kurland is a Gong Healer Practitioner, Reiki Master and Meditation Facilitator. Laughter Yoga Teacher/Trainer and Happiness faciliator. She has trained with various Gong teachers including Don Conreaux, Abby del Sol, Tom Soltran and Sheila Whittaker. This entry was posted in and tagged gong bath, gong bath Camden, Gong Bath in Angel, Gong Bath in Camden, Gong Bath in Camden Town, gong bath london, Gong Bath Meditation, Gong Bath with Odette, Gong Baths in London, Gong Baths in North London, Gong Healing, Gong Healing London, Gong Meditation, Gong Meditation Islington, gong spa london, Laughter Gong, Saturday Gong Baths in London, Saturday Sound Baths, Sound Bath, sound bath Camden, sound bath Cameden, sound healing, sound healing london, Sound Journey, Sound Meditation Camden, Sound Meditation gong bath, Sound Meditation in London, Sound Meditation London, Sound Spa London, Weekend Gong Baths in London on 27th April 2019 by Odette. This entry was posted in and tagged gong bath, gong bath Camden, Gong Bath in Angel, Gong Bath in Camden, Gong Bath in Camden Town, gong bath london, Gong Bath Meditation, Gong Bath with Odette, Gong Baths in London, Gong Baths in North London, Gong Healing, Gong Healing London, Gong Meditation, Gong Meditation Islington, gong spa london, Laughter Gong, Saturday Gong Baths in London, Saturday Sound Baths, Sound Bath, sound bath Camden, sound bath Cameden, sound healing, sound healing london, Sound Journey, Sound Meditation Camden, Sound Meditation gong bath, Sound Meditation in London, Sound Meditation London, Sound Spa London, Weekend Gong Baths in London on 13th April 2019 by Odette. This entry was posted in and tagged gong bath, gong bath Camden, Gong Bath in Angel, Gong Bath in Camden, Gong Bath in Camden Town, gong bath london, Gong Bath Meditation, Gong Bath with Odette, Gong Baths in London, Gong Baths in North London, Gong Healing, Gong Healing London, Gong Meditation, Gong Meditation Islington, gong spa london, Laughter Gong, Saturday Gong Baths in London, Saturday Sound Baths, Sound Bath, sound bath Camden, sound bath Cameden, sound healing, sound healing london, Sound Journey, Sound Meditation Camden, Sound Meditation gong bath, Sound Meditation in London, Sound Meditation London, Sound Spa London, Weekend Gong Baths in London on 23rd March 2019 by Odette. This entry was posted in and tagged gong bath, gong bath Camden, Gong Bath in Angel, Gong Bath in Camden, Gong Bath in Camden Town, gong bath london, Gong Bath Meditation, Gong Bath with Odette, Gong Baths in London, Gong Baths in North London, Gong Healing, Gong Healing London, Gong Meditation, Gong Meditation Islington, gong spa london, Laughter Gong, Saturday Gong Baths in London, Saturday Sound Baths, Sound Bath, sound bath Camden, sound bath Cameden, sound healing, sound healing london, Sound Journey, Sound Meditation Camden, Sound Meditation gong bath, Sound Meditation in London, Sound Meditation London, Sound Spa London, Weekend Gong Baths in London on 9th March 2019 by Odette. This entry was posted in and tagged gong bath, gong bath Camden, Gong Bath in Angel, Gong Bath in Camden, Gong Bath in Camden Town, gong bath london, Gong Bath Meditation, Gong Bath with Odette, Gong Baths in London, Gong Baths in North London, Gong Healing, Gong Healing London, Gong Meditation, Gong Meditation Islington, gong spa london, Laughter Gong, Saturday Gong Baths in London, Saturday Sound Baths, Sound Bath, sound bath Camden, sound bath Cameden, sound healing, sound healing london, Sound Journey, Sound Meditation Camden, Sound Meditation gong bath, Sound Meditation in London, Sound Meditation London, Sound Spa London, Weekend Gong Baths in London on 23rd February 2019 by Odette. This entry was posted in and tagged gong bath, gong bath Camden, Gong Bath in Angel, Gong Bath in Camden, Gong Bath in Camden Town, gong bath london, Gong Bath Meditation, Gong Bath with Odette, Gong Baths in London, Gong Baths in North London, Gong Healing, Gong Healing London, Gong Meditation, Gong Meditation Islington, gong spa london, Laughter Gong, Saturday Gong Baths in London, Saturday Sound Baths, Sound Bath, sound bath Camden, sound bath Cameden, sound healing, sound healing london, Sound Journey, Sound Meditation Camden, Sound Meditation gong bath, Sound Meditation in London, Sound Meditation London, Sound Spa London, Weekend Gong Baths in London on 26th January 2019 by Odette. This entry was posted in and tagged gong bath, gong bath Camden, Gong Bath in Angel, Gong Bath in Camden, Gong Bath in Camden Town, gong bath london, Gong Bath Meditation, Gong Bath with Odette, Gong Baths in London, Gong Baths in North London, Gong Healing, Gong Healing London, Gong Meditation, Gong Meditation Islington, gong spa london, Laughter Gong, Saturday Gong Baths in London, Saturday Sound Baths, Sound Bath, sound bath Camden, sound bath Cameden, sound healing, sound healing london, Sound Journey, Sound Meditation Camden, Sound Meditation gong bath, Sound Meditation in London, Sound Meditation London, Sound Spa London, Weekend Gong Baths in London on 12th January 2019 by Odette. Full Moon Gong Bath Meditation and Sound Journey 22nd December London – Camden Town and also our last gong bath in 2018. We will be tuning in to the Full Moon and Winter Solstice enerigies. A really powerful time to enter the gong space. 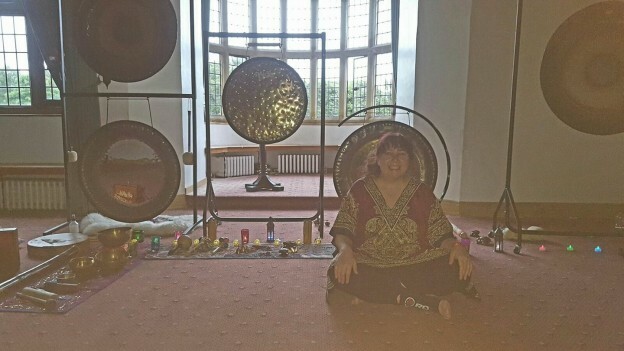 This entry was posted in and tagged Full moon events london, Full Moon Gong Bath, gong bath, gong bath Camden, Gong Bath in Angel, Gong Bath in Camden, Gong Bath in Camden Town, gong bath london, Gong Bath Meditation, Gong Bath with Odette, Gong Baths in London, Gong Baths in North London, Gong Healing, Gong Healing London, Gong Meditation, Gong Meditation Islington, gong spa london, Laughter Gong, Saturday Gong Baths in London, Saturday Sound Baths, Sound Bath, sound bath Camden, sound bath Cameden, sound healing, sound healing london, Sound Journey, Sound Meditation Camden, Sound Meditation gong bath, Sound Meditation in London, Sound Meditation London, Sound Spa London, Weekend Gong Baths in London on 22nd December 2018 by Odette. We will be tuning in to the New Moon Energies from Friday! With New Moon around 4pm in London on the 7th Dec, this is still be a great opportunity to tap in to the new moon energies. A really powerful time to set your intention for new projects and embracing anything new. This entry was posted in and tagged gong bath, gong bath Camden, Gong Bath in Angel, Gong Bath in Camden, Gong Bath in Camden Town, gong bath london, Gong Bath Meditation, Gong Bath with Odette, Gong Baths in London, Gong Baths in North London, Gong Healing, Gong Healing London, Gong Meditation, Gong Meditation Islington, gong spa london, Laughter Gong, Saturday Gong Baths in London, Saturday Sound Baths, Sound Bath, sound bath Camden, sound bath Cameden, sound healing, sound healing london, Sound Journey, Sound Meditation Camden, Sound Meditation gong bath, Sound Meditation in London, Sound Meditation London, Sound Spa London, Weekend Gong Baths in London on 8th December 2018 by Odette.